Just like the hair, the eyebrow, and any part of ​​the body, the eyelashes require care. The way we take care of our eyelashes influences directly their quality, size, and thickness. And as surprising as it may be, your eyelashes may have dandruff too. Yes, eyelashes also have dandruff. 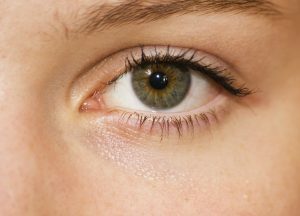 Dandruff on the eyelashes is an inflammation of the eyelids that mainly affects the region of the root of the eyelashes. This inflammation is called Blepharitis, and can cause itching, irritation, and redness in addition to the dandruff. It is important to know that this condition is not a contagious disease. This is because, along with the root of the eyelashes, there are small glands responsible for releasing oily secretions. This secretion when generated in the correct amount helps protect the eyes and is part of the natural mechanism of the body. However, in some people, these glands do not produce the secretion properly due to hormonal changes, bacterial infections or excess fat. In case of Blepharitis, there is an accumulation of this secretion near the eyelashes that causes itching, redness, and irritation. Also, the irregular function of the glands can make a change in the tear production, which ends up causing the dry eye. Close to the roots of the eyelashes, there are several glands along the eyelid, called Meibomian glands. They are fat-producing glands, and their function is to aid in the quality of our tear. Yes! Tears have fat. One of the essential components of our tears is fat, which forms a kind of film, preventing the tears from evaporating too quickly between blinks. In some people, these glands may produce an excessive amount of fat, which increases local oiliness. This modification creates an environment conducive enough for the bacteria (normally existing in our skin) to reproduce in an accelerated way. As a result, in addition to the accumulation of fat in the roots of the eyelashes, the problem can culminate with the clogging of these glands. This clogging causes a reduction in the fatty layer of the tear, which evaporates more easily and quickly, causing the typical appearance of Dry Eye. It is for this reason that Blepharitis and Dry Eye are two eye health problems that are found together in almost all cases. As a rule, people with Blepharitis presents the complaints described at the beginning of the article: Itching is the most frequent symptom, and it is common that it affects the whole region of the edge of the eyelids. The sensation of a foreign body, as if there were sand in the eyes, is also common. Dryness, with burning, red eye and tearing, complete the whole picture. In more severe cases, it is possible for the patient to observe the presence of the accumulation of fat in the roots of the eyelashes, which looks like the scalp dandruff. There could also be noticed an excessive eyelash loss. Although it does not cause blindness, Blepharitis can bring long-term vision problems because of the itching it causes. People often rub their eyes very hard, which can hurt or injure the region and lead to other vision problems. Do I have a risk of developing Blepharitis? Blepharitis can affect anyone. However, it may be more commonly associated with other factors such as oily skin, dermatological diseases like Rosacea and Seborrheic Dermatitis and scalp dandruff. To avoid this clinical picture, the daily habit of hygiene of the eyelids is one of the essential care to be taken. Using dermatologically and ophthalmologically tested cleaning lotions or liquid baby soaps and applying daily water-based moisturizing creams are some of the advices of the doctors. It is important to know that Blepharitis is a chronic disease, and it does not exactly have a cure. However, in the vast majority of cases, their control is relatively simple. The main aspect of controlling this disease is the person’s commitment. The treatment should be adopted as a habit in its routine. Otherwise, Blepharitis becomes worse, as well as its symptoms and the frequency of its complications. Proper hygiene of the eyelid edge is the most important part of the treatment. In most cases, it is the only measure adopted, with satisfactory results. In the past, it was very common to perform this hygiene using neutral shampoos for children, which could achieve a good reduction of local oiliness without causing much eye burning. Nowadays, there are more suitable substances available to patients, with specific components to combat the origin of Blepharitis and more friendly to the ocular surface. The frequency of this hygiene should be at least once a day. For better control over the inflammation, in some cases, the ophthalmologist may advise to perform it even more frequently. It is important always to perform it with your washed hands. Applying local heat can reduce local inflammation. The heat helps remove crusts that form in addition to oily secretions. Put a compress in warm water on your closed eyes for about ten minutes. You can also wipe the eyes gently with a compress soaked in specific eyelid cleaning solution, which can be found in pharmacies. In cases where the Dry Eye accompanies blepharitis, it is necessary to use lubricating drops (or artificial tears). In some more severe cases, it may be necessary to associate the treatment with antibiotics and anti-inflammatory drugs, but only your doctor can indicate the best treatment, since they may cause side effects if they are not the correct ones for you. The consumption of omega 3, according to studies, is it helps in regulating the glands and decreasing blepharitis. It can be used in the form of tablets or powder, and the amount indicated is one gram twice a day, always taken with your meal. If you have Blepharitis, then the tea tree oil also can treat it. It helps to relieve the symptoms such as itching and inflammation of the eyelids. Experts have noted that Blepharitis can also be caused by demodex mites and can be treated with tea tree oil. This essential oil is an effective ingredient to eliminate ocular demodex and also improves visual symptoms. Mix the three drops of tea tree oil no more than a tablespoon of coconut oil. Soak a cotton swab in the solution. Wait around ten minutes and then rinse it. You can repeat this remedy daily until you see some improvement. When you are dealing with the inflammation, then you need to keep the eyelids hydrated so that you can prevent the formation of crust and flakes on the eyelids. The moisturizing effect of aloe vera is quite helpful in this regard. Also, the anti-inflammatory property present in aloe vera helps to reduce the redness, inflammation, and swelling of the eyelids. It is quite effective in fighting infection. 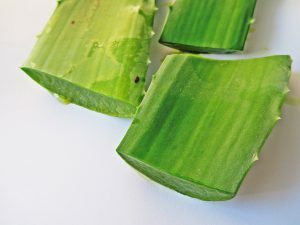 Cut a leaf of Aloe Vera to extract the fresh gel. Apply this gel to your eyelid and rub the eyelids gently. Let it for about 15 minutes. You can use this remedy two to three times a day. There is a need to rub the eyelids more likely to prevent accumulation of oil residue on the parts of the eyelids. It will also help you avoid the development of eyelid crusts and may accelerate the healing process. You will need to prepare a solution with no more than three drops of baby shampoo in one cup of warm water. Dip a clean cotton swab into the solution. Gently rub the base of the eyelids for about 15-20 seconds per eyelid. Rinse your eyes with cold water, so that you can avoid any remaining residue. For best results repeat this procedure two times a day. In more severe cases, makeup can be an irritating factor, which can worsens the inflammation of the glands. However, in milder cases, you can use your makeup. Keep in mind that you always should remove it with the appropriate makeup remover and. After that, the hygiene with the specific product for the treatment of Blepharitis should follow. To avoid contamination, contact lens wearers should take extra care in sanitizing their lens after removing them from their eyes. They should also use suitable eye drops more frequently. Now that you know everything about Blepharitis, if you experience any of the symptoms, be sure to seek medical help from an ophthalmologist. Neveread of self-medicate. If you have already received this diagnosis, I hope I have helped you to understand the importance of your commitment in treating the inflammation.